The adicolor series continues into its forth palette, taking inspiration from the 1982 Disney movie “Tron” for the adicolor Blue series. 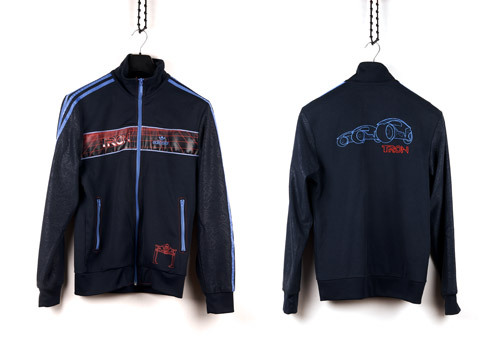 The BL4 Tron Track Top pays homage to the classic sci-fi adventure film in its style, design, and colorway. Released in limited numbers and packaged in a special edition adicolor box, the jacket matches a pair of BL4 velcro Stan Smith’s, also featuring designs inspired by the well-known film. 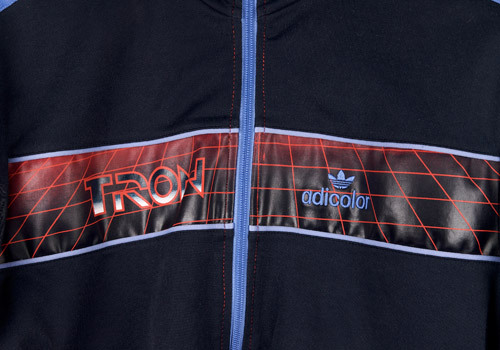 Created from a mix of cotton and polyester, the Tron track top is a very dark blue color, featuring light, pale blue highlights and red accents. The lighter blue is used in chest piping, on the center and side pocket zippers, as well as down the sleeve stripes. It also appears in the embroidered adicolor trefoil logo on the left breast and again on the back illustrating three of the so-called “Light Cycles” seen in the feature film. 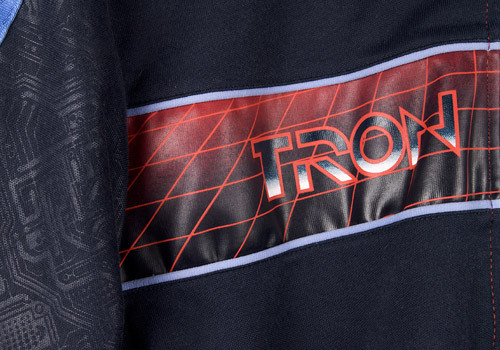 The red accents color the chest in a main feature print showing the “grid” from Tron and displaying the film font. 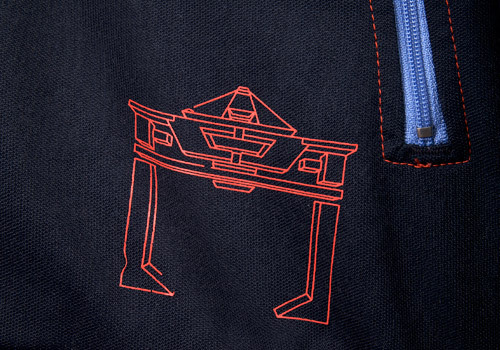 The color is continued in the subtle stitching around the zippers, in the embroidered illustration of a “Recognizer” vehicle into the bottom left pocket, and also in the back embroidery again showing the film title. The final touch of detail on this stylish jacket is the shimmering black on black printing of circuit board designs tracing down the sleeves.